Hey Friends! If you spoke to the either Freddie or Kajal they would tell you how much I love nail varnish so I just want to show you how I take care of my nails and my general hand maintenance. To clip my nails I use Stylefile as it has a curved shape rather than a straight edge. This is better type of model of clippers to use because firstly it makes it easier to get the round shape that I prefer plus it is meant to be gentler on your nails. 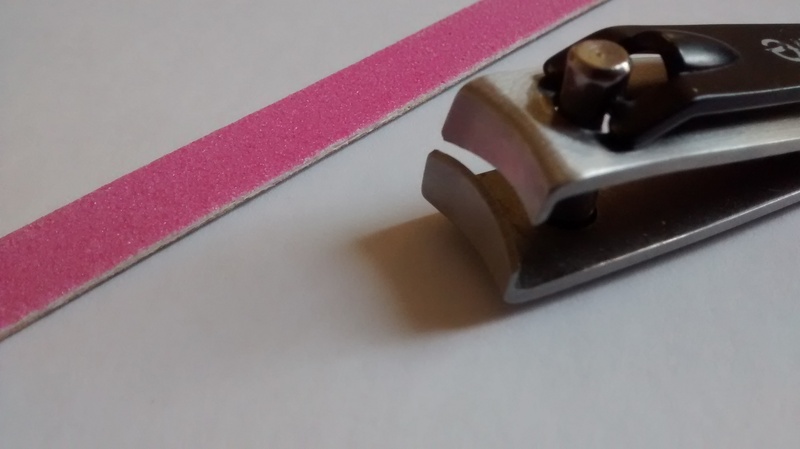 For filing I just use a simple Emery board from Paperchase, I know many say you should only use certain types of files but since using my clippers I rarely have to file anything! Before applying anything to your nails, I suggest using a cuticle softener and wooden orange stick to push back the cuticle. The cuticle plays an important role in the health of your nails as they provide a protective cover for the tissue that help build the nail itself. Taking care of your cuticles is important because it can lead to stronger, healthier nails. If you neglect them, your cuticles can cause some problems, including painful infections! I use simple cuticle softner pen for easy application, this one is just from Marks and Spencer and Nails Inc Vitamin E Oil pen to ensure they stay healthy. 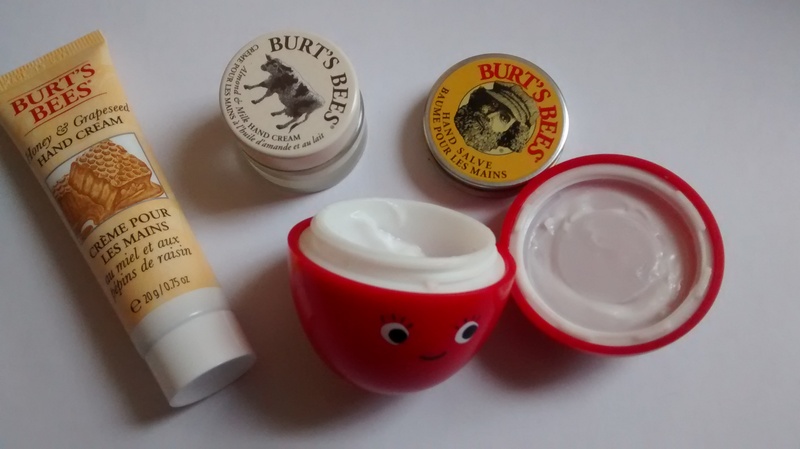 I also love Burt’s Bees Lemon Butter Cuticle Cream as not only is it extra nourishing it smells absolutely delicious. 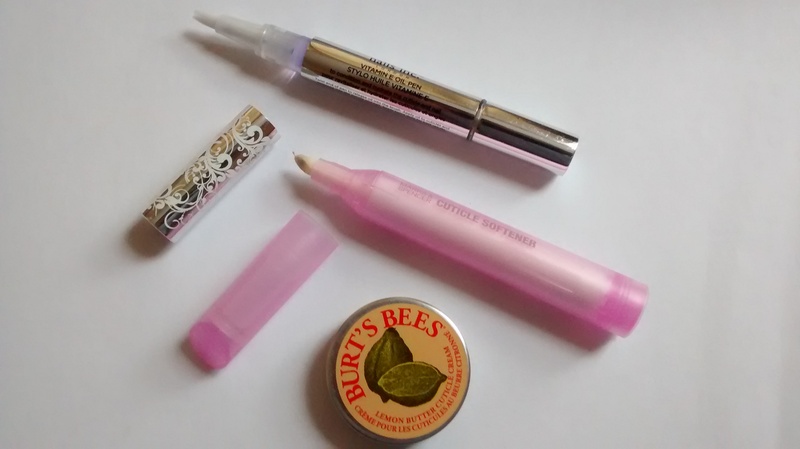 From Top to Bottom: Nails Inc Vitamin E Oil pen, Marks & Spencers cuticle softener and Burt’s Bees cuticle cream. I do have to admit I love a good hand cream and have tried all sorts from Nivea to this Paperchase pot my mum bought. The reason I use hand creams is after having a shower or doing the washing up my hands feel like all moisture has been sucked from them. I know many of us use body moisturiers, I believe we should treat our hands in the same way. You could use your body cream on your hands as well but, like your face, your hands are exposed to the elements more compared to the rest of your body so they need a more intense moisturising treatment. I wouldn’t say that I have an overall favourite just yet as I still have a few more to try but pictured are a few of my favourites! 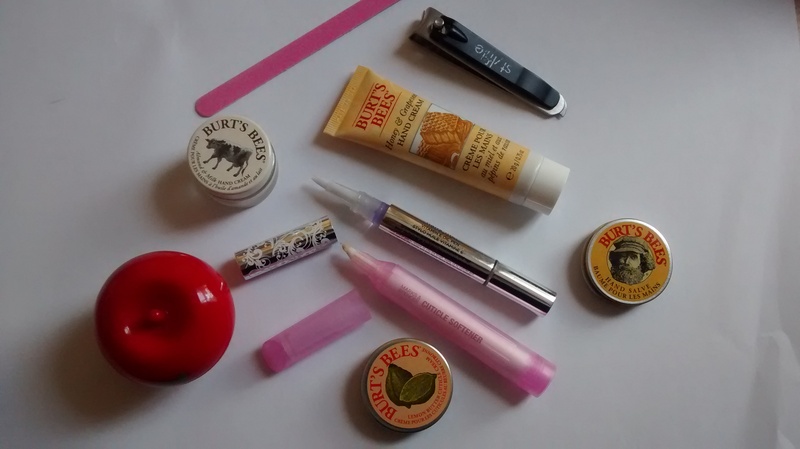 Various Burt’s Bees hand creams & Paperchase hand cream.